Leonard Kim’s first article on Quora became an instant smash, with over 5 million views in less than six months. It was all uphill from there. He also dispenses some killer advice for taking your content and your personal brand to the next level. Why “laying it all out” upfront will lead to more clients and views. Honing in on a niche. Using your backstory to build your brand. 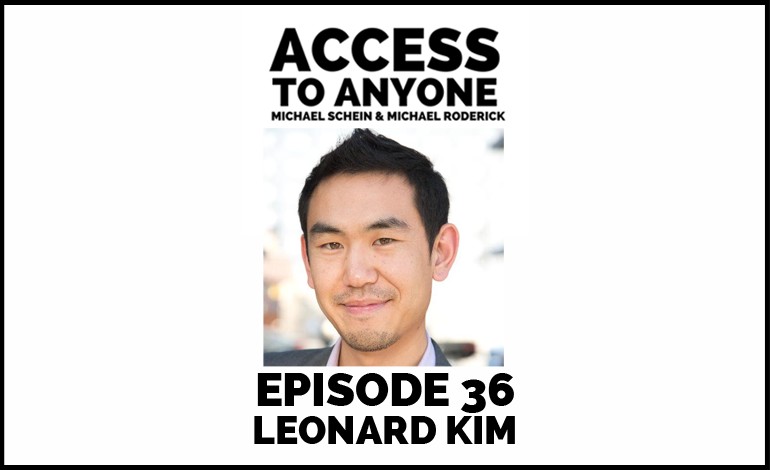 Leonard Kim is managing partner of InfluenceTree, where he and his team teach their clients how to build their brands, get featured in publications, and growth hack their social media. His content has been read over 10 million times, and has amassed a social media following of well over 100,000 people. He has been profiled and/or featured in publications and podcasts including Inc., Fortune, Entrepreneur, Forbes, Huffington Post, Success Hackers and Ask Altucher.